Left Coast Cellars is back on the blog! 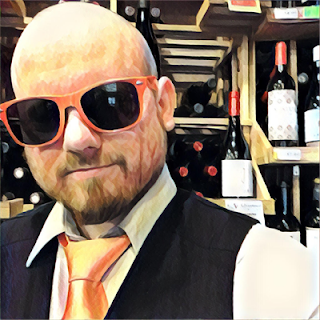 It was just this past March that I reviewed their 2014 Cali's Cuvee Pinot Noir and their 2015 The Orchard Pinot Gris. 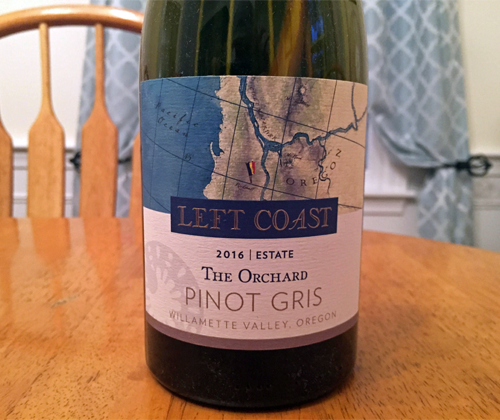 Well, a new vintage of that Pinot Gris is out so now I'll be reviewing their 2016 The Orchard Pinot Gris, and also in a few days their 2016 White Pinot Noir! The vineyard block that this Pinot Gris is from is called The Orchards because of the history of its land being planted with apple, pear and cherry orchards. It spans 7.5 acres and since 2005 it's been home to Pinot Gris Clones 146 and 152. The wine that is produced here is fermented 100% in stainless steel. It has an ABV of 13.7%. So it's October now and I'm sad. Jalapeño season is over. I had six jalapeño plants this year and, man, it was awesome. I put those little fuckers on everything. Literally EVERYTHING. Sure, my stomach is probably happy they're gone but my taste buds are not. RIP, jalapeños. You are my heart. I will see you in the spring. Now let's cry into some wine! The color of the wine is a pale yellow. The honeydew melon has taken over the nose in this vintage, where as it was more in the background behind apples in the 2015 vintage. There's also aromas of green peppers, orange blossom and walnuts. So the 2016 is very different on the nose than the 2015. On the palate it's full bodied with a smooth mouthfeel and tamed acidity. There's flavors of honeydew melon, cantaloupe, and lemon lollipop. It finishes with lemon lollipop and a coating of sweetness. The 2016 is much more laid back, less tart, and more sweet than the 2015. It doesn't have the personality that the 2015 did. Yet, it's still good and you won't be disappointed that you dropped $18 for it.